A beautifully soft, lightweight and vibrant cotton forms the base of our Ledbury 21 men's piped robe, whilst our repeat geometric graphic in red, navy and light blue creates an eye-catching print. 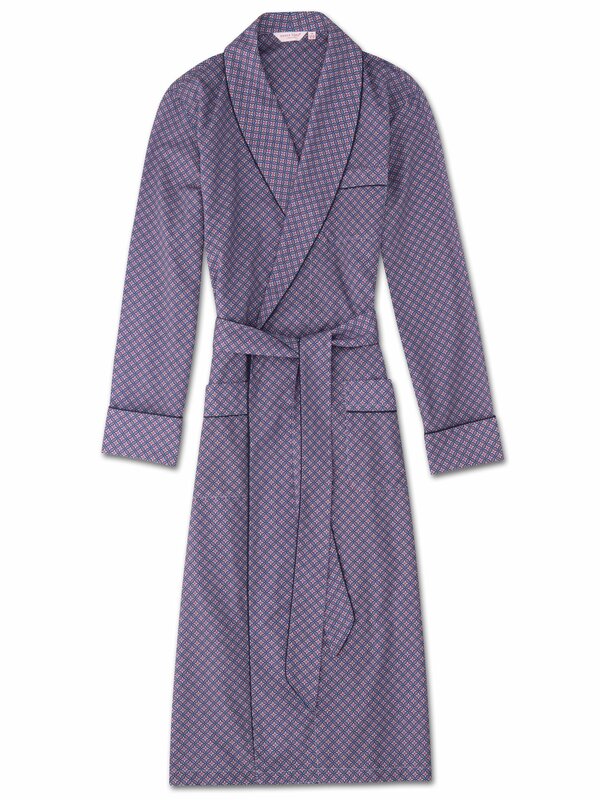 For the man who likes to lounge in style, our signature robes merge classic styling with modern fabric designs. With its relaxed fit, you can layer this robe comfortably over pajamas or loungewear even in summer. 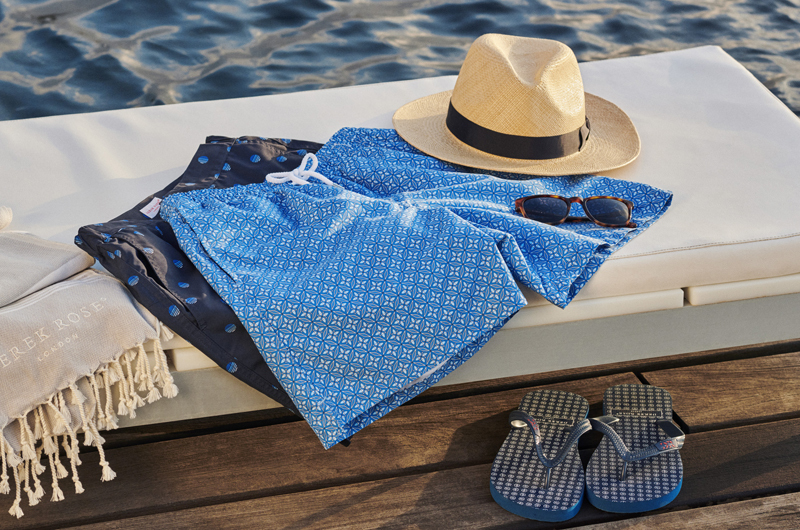 Made from our signature cotton batiste, a light and soft fabric that excels in warmer conditions, the Ledbury 21 robe features a classic shawl collar design with a breast pocket and two front pockets for practicality while around the house. The robe is also complemented with navy blue piping and a self-fabric tie-waist for an added touch of luxe.